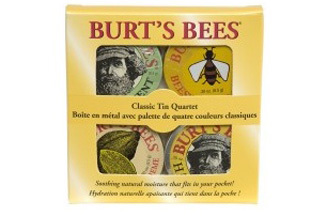 LONDON - Leading US natural personal-care brand Burt's Bees is to double its UK marketing spend in an attempt to boost its sales figures 70% by 2010. The brand, which is currently worth around £7m in the UK, said it holds a 25% share of the US market for natural personal-care products. It wants to be the world's number one natural brand within five years. It holds a 2% share of the UK market but wants to expands this to 10% in the next two years. The brand sells 100 of its 150 products in the UK, which include lip balms, hand cream, along with men's and baby ranges. Activity will include expanding its offering in the UK, starting with the launch of a range of acne products. Ranges are currently stocked by retailers including Boots and Waitrose. It has plans to roll out in other stores including Superdrug.